Quark Expeditions, a polar travel specialist, is celebrating its 20th anniversary this year with a new ship and other changes. “In January, we added Sea Spirit to our fleet for a new level of comfort in polar cruising,” said Hans Lagerweij, president of Quark. “In February, our sponsorship of ‘Antarctica: Photographs by Santiago Vanegas’ at the Atlanta airport successfully launched our new mobile website. Now March has begun with an unexpected honor. Travel and Leisure has nominated us as World’s Best Tour Operator." Quark will operate a 66-day World Cruise from July 10 to Sept. 13. The cruise will visit Anchorage, Alaska; remote islands in the Russian Arctic; Svalbard in Norway’s Arctic region; Greenland; and the Northwest Passage, the northern route to Asia in the Canadian Arctic. Most of the voyage will be conducted in continual daylight, as the route is far above the Arctic Circle. Never to be repeated, this World Cruise will include more opportunities to see polar bears, walrus, and musk oxen in the wild than any other wildlife cruise in 2011. The Arctic Circumnavigation is the last time Quark’s flagship Kapitan Khlebnikov (right) will carry passengers through northern waters. 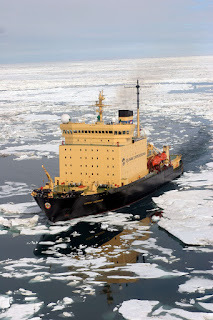 The conventional icebreaker retires as an expedition vessel in March 2012. Special guests will sail on the voyage. Peter Schmidt Mikkelsen will participate in the segment known as the Greenland Semi-circumnavigation, Aug. 4 to 24. In the 1970s, the Dane spent a number of years patrolling the remote and virtually uninhabited eastern shore of Greenland by dog sled. He was a member of the SIRIUS dog patrol, a special division of the Danish Royal Navy charged with protecting the sovereignty of the world’s largest island. Irish filmmaker and polar explorer John Murray has spent a lifetime documenting the polar regions for international television. In 2002, he backed the Irish Canadian Franklin Search Expedition that sought the remains of Sir John Franklin's lost ships. He will spool his films and present an insider’s view of contemporary Arctic exploration aboard Arctic Passage Aug. 22 to Sept. 13. 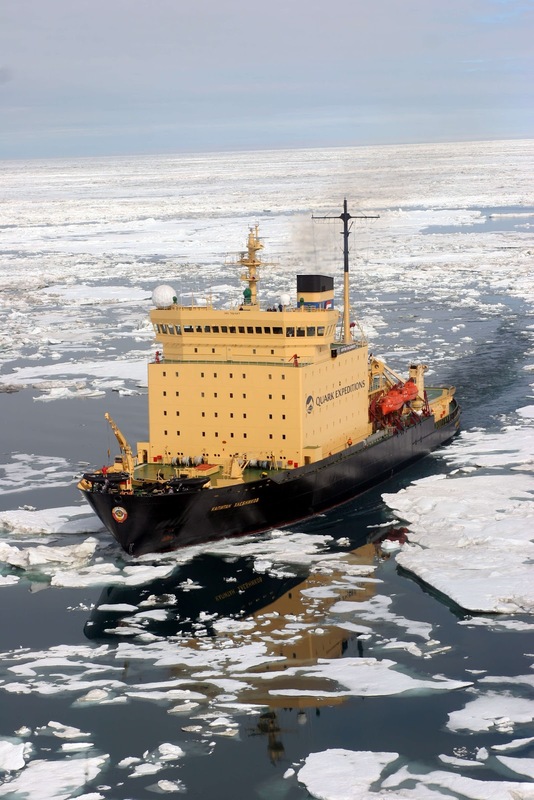 While sailing the Northwest Passage through the Canada Arctic, participants can earn marine navigation certification from Starpath School of Navigation. The school’s founder, David Burch, will provide hands-on training during the voyage in a full navigation station. The training is included in the cost of the expedition. The per person cost, based on twin occupancy, is $88,990. All cabins have facilities en suite and exterior views. Helicopter sightseeing and Zodiac cruising is also included. For more information, call 888-892-0171 or visit www.quarkexpeditions.com.